cute bird..see you in my blog. Thanks. 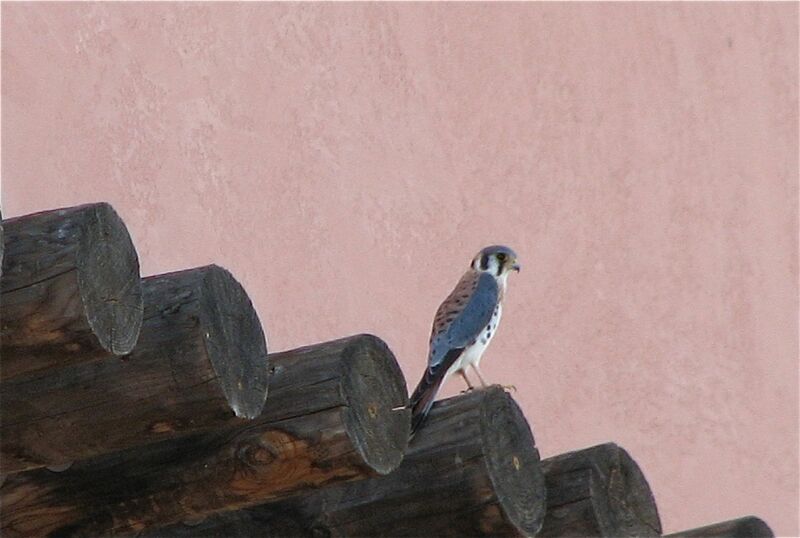 That is a lovely picture of the American Kestrel. He is the master of his domain … er … wood. *grin* Love his colors. don’t you feel blessed any time you see such a magnificient bird? i know i do. love your wordless wednesdays. Kestrels are my favorite bird of prey. These little falcons have everything the big guys have, packaged into a beautiful little frame.